Speaking to Asian Mirror a short while ago, General Manager of Araliya Group Lal Sirisena, another brother of Maithripala Sirisena, told that the lorry has been attacked by an armed group. He asserted that a powerful Minister of the ruling party was behind the attack. 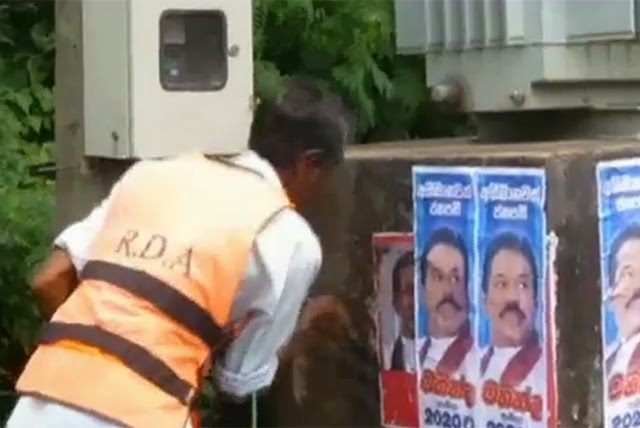 Media, on several occasions, revealed that employees and vehicles of Road Development Authority were being deployed to paste posters of Mr. Mahinda Rajapaksa’s election campaign. ‘Sirasa’ TV telecast a video yesterday (28th) confirming this. The video shows an employee of RDA pasting a poster in Chilaw area and his views regarding the job he has been assigned to do. Recently Wimal Weerawansa, the minister said to be carrying out scavenging for the government, made himself a bid of Rs.600 million. However, a strongman in the government, who has decided to support the common candidate of the opposition, has said Weerawansa is not worth a dime for the millions of people who have rallied to topple the despotic regime. Jathika Hela Urumaya General Secretary Patali Champika Ranawaka has said that Minister of Higher Education SB Dissanayake seems to be opening way for another student uprising with his speeches and action. He said this yesterday evening in response to a question posted in his Q&A session #AskChampika on Twitter. The session took place both on Facebook and Twitter and started at 7pm yesterday. 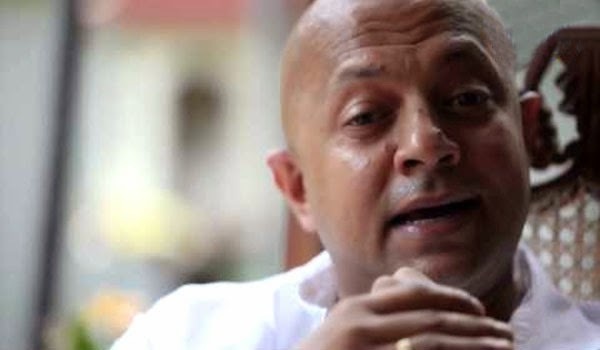 JHU Parliamentarian Athuraliye Rathana Thera is to be the key speaker of the presidential campaign of the common candidate Maithripala Sirisena, Rathana Thera’s role in the campaign will be similar to that of Wimal Weerawansa in President Mahinda Rajapaksa’s election campaigns in 2005 and 2010. 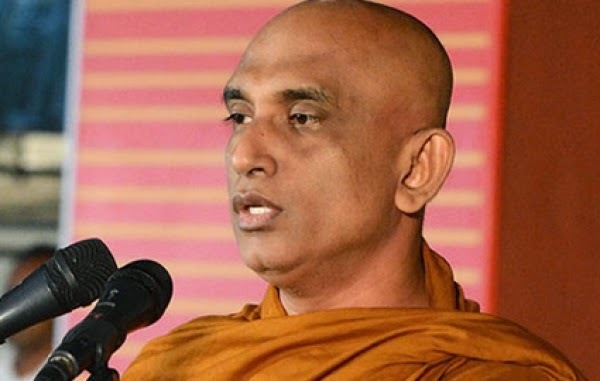 Meanwhile, speaking to Asian Mirror, Rathana Thera said the JHU has already decided to extend its support to common candidate Maithripala Siisena at the presidential election. 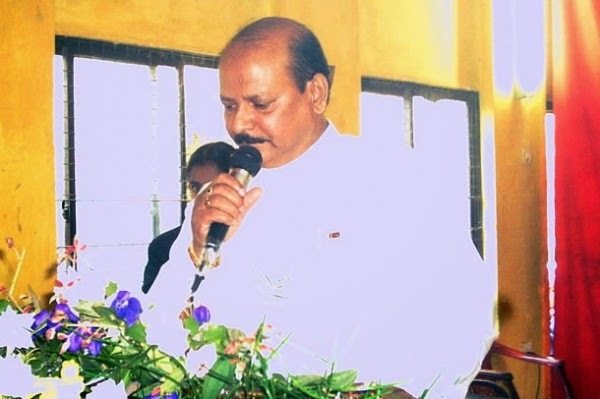 It is revealed that Kumaran Pathmanathan alias KP, who became the leader of the LTTE after Vedlupillai Prabakaran died, still remains as the leader of the outfit. He has not resigned or given up the leadership of the LTTE. KP, who was apprehended in Malaysia immediately after the war ended, became the leader of the LTTE while he was the international leader, the chief procurer of arms for the outfit and ran a network of LTTE offices which were engaged in its weapons procurement, logistics and money laundering operations. 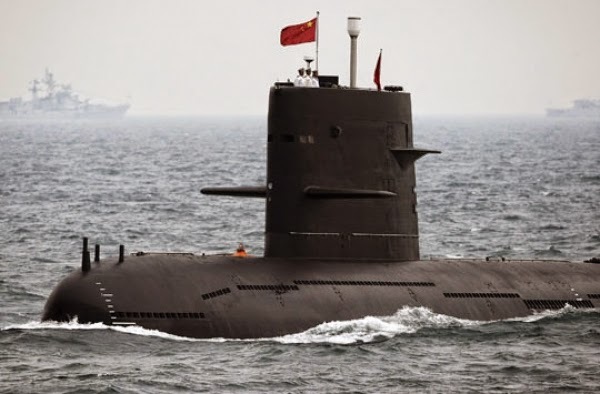 Defending its submarine’s docking at Colombo port as common practice, Chinese military yesterday termed “utterly groundless” reports that it is setting up 18 naval bases in Sri Lanka, Pakistan, Myanmar and several other places in the western and southern Indian Ocean. “The report is not accurate”, Geng Yansheng told a media briefing here replying to a question about a report published in a Namibian newspaper on November 11 quoting a Chinese media report stating that China plans to set up 18 naval in several places including Sri Lanka. 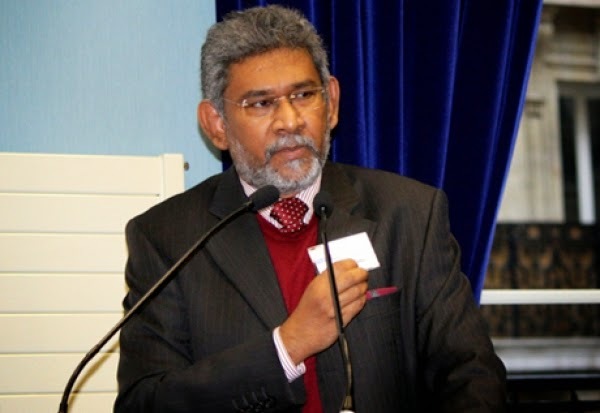 Rathna Bandara, Leader of the National Sinhalese Buddhist People’s Party, today filed a writ petition in Court of Appeal urging the court to declare President Mahinda Rajapaksa had intentionally violated the constitution of the country by enacting 18th amendment to the constitution without having a referendum. The petitioner stated that owing to this reason the president is disqualified to remain in office, and therefore should be removed from his position with immediate effect. 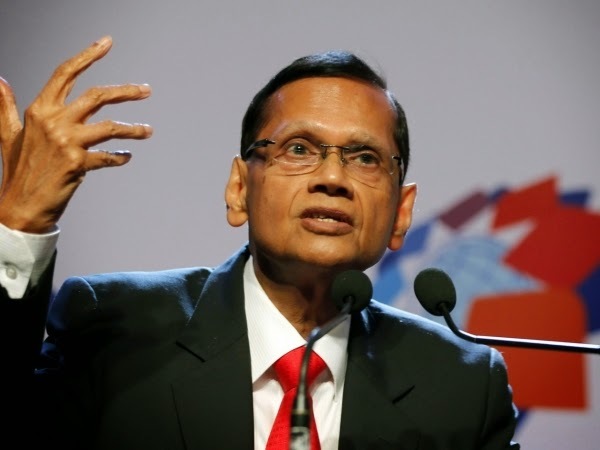 Diplomat and Political Scientist Professor Dayan Jayatilleka said yesterday that even though Maithripala Sirisena emerged as the common candidate taking the government by surprise, President Mahinda Rajapaksa still holds an edge in the battle. 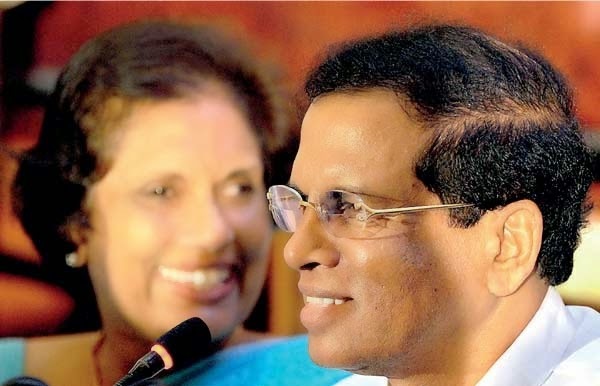 According to Jayatilleka, the incumbent President stands a strong chance to win the presslidential election of 2015; but a charismatic village-person such as Maithripala Sirisena emerging as the common candidate has certainly made the Presidential Election more competitive. Common candidate of the opposition Maithripala Sirisena Sirisena today urged the Inspector General of Police and the Elections Commissioner to remove all cut-outs and posters pertaining to the election after December 08- the last date of nominations. While commenting on the propaganda campaign launched by the ruling party, Sirisena said President Rajapaksa can stick posters and hang large cutouts even on top of Adam’s Peak. He also assured that the common opposition will not use polythene or cut-outs during the election campaign. While there is still no final decision on the election symbol of common candidate Maithripala Sirisena, Elections Commissioner Mahinda Deshapriya left the country today (28) morning and he will return to Sri Lanka on December 01, sources from the Elections Department said. Sirisena will contest under the party ‘Apey Jathika Peramuna’ whch had telephone as its symbol However, the party has requested the Elections Commissioner to replace its symbol with pigeon or lotus. The first choice of the party, according to political sources, is ‘pegion’. Azwer Resigned From Parliament: Seat Given To Amir Ali? United People’s Freedom Alliance Parliamentarian A H M Azwer has resigned from the Parliament a short while ago, Asian Mirror learns. A H M Azwer was a National List member of the Parliament of Sri Lanka. He was a minister of Muslim Affairs for some time. 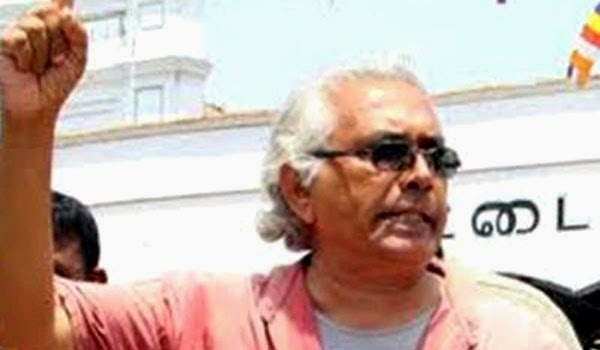 Azwer was a staunch supporter of President Mahinda Rajapaksa and a strong critique of the main opposition party. However, the reason for the Parliamentarian’s resignation is not officially announced. The common candidate of several left wing political parties including the Frontline Socialist Party (FSP) is to be declared today (27). Speaking, Propaganda secretary of the FSP - Pubudu Jagoda said that the candidate would be revealed today. Discussions had taken place between five left wing political parties including the FSP for nearly three months. 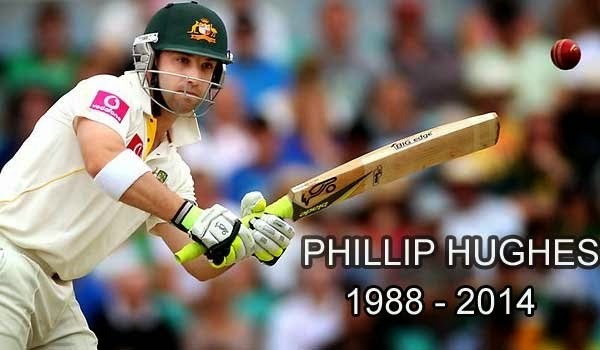 Australia Test batsman Phil Hughes has died, officials say. He had been in a critical condition in a Sydney hospital since being hit by a ball on Tuesday. Hughes was carried off on a stretcher after a short-pitched delivery struck his head, missing his helmet. The Bodu Bala Sena organization today officially extended its support to President Mahinda Rajapaksa for the forthcoming presidential election. 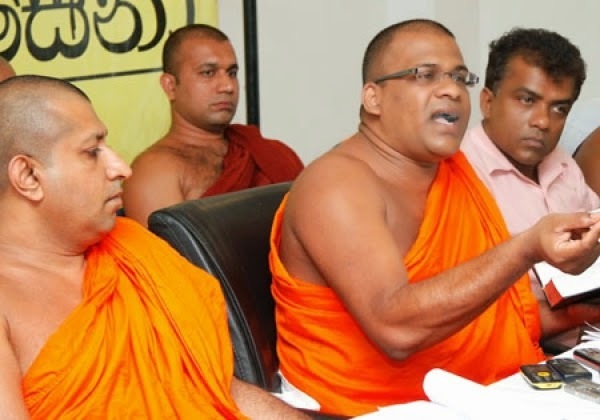 Addressing a media conference in Colombo, Galagodaaththe Gnanasara Thera said the organization would use its maximum strength to defeat common candidate of the opposition, Maithripala Sirisena. Gnanasara Thera also pledged to ‘go around the country’ to ensue the victory of President Mahinda Rajapaksa who, according them, is a national leader. 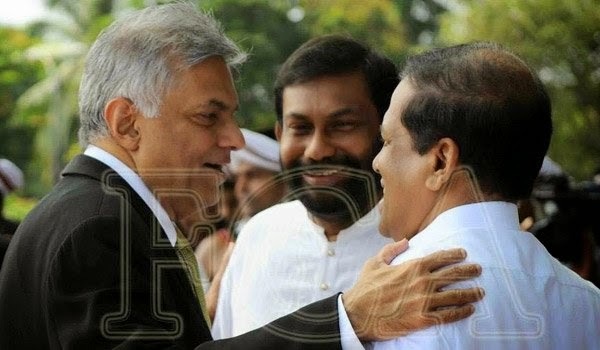 Asian Mirror reliably learns that Western Provincial Council member Hirunika Premachandra and Minister Jeewan Kumaratunga has met common candidate of the opposition, Maithripala Sirisena, at his residence in Colombo and pledged to extend their support to him at the forthcoming presidential election. Sources close to Sirisena’s family confirmed that the meeting between the two parties has been successful. 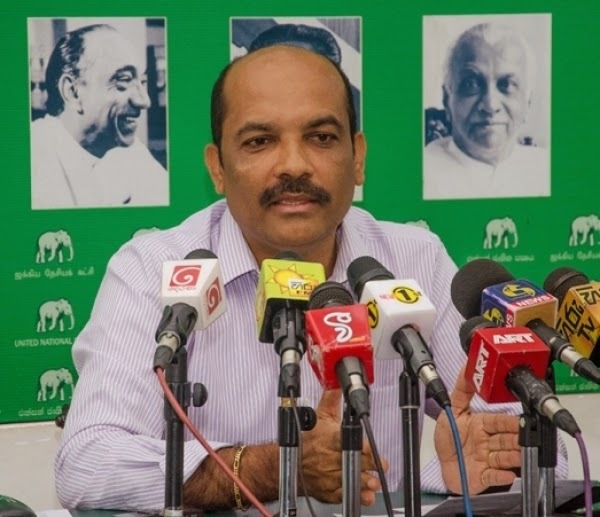 UNP Challenges MR To Take Action On "Files"
The United National Party today alleged that President Mahinda Rajapaksa was covering up malpractices and corruption by not taking action on “files” of those who defected the government. Issuing a special media statement this morning, the main opposition party said the claim on “files” raised some serious question. “Why are these files being hidden from the public and law enforcement? How many more files does the President have on his own party members? 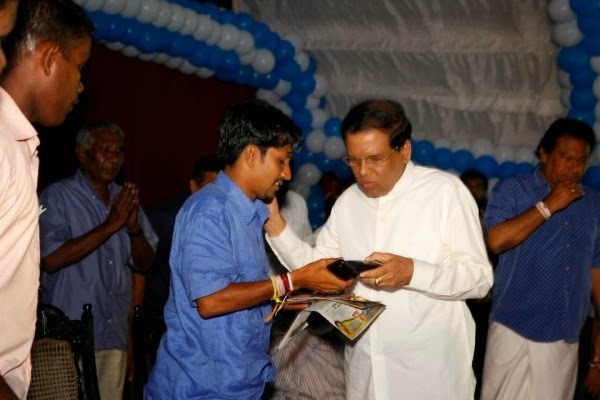 Kotikawatta – Mulleriyawa PS Chairman Prasanna Solangaarachchi has joined the common opposition to support Maithripala Sirisena's candidature at the upcoming presidential election. Solangaarachchi has made an official statement regarding his crossover at a UPFA local government representatives’ meeting yesterday (26) afternoon. During the meeting Solangaarachchi has confirmed that he would extend his support to the common candidate Maithripala Sirisena. The Common Opposition will present an election manifesto that is based on three main points, highly placed political sources told Asian Mirror this evening (27). “The manifesto, which will be short and concise, will focus on three main points – namely bringing sovereignty back to the people, eradication of corruption and ensuring transparency and good governance,” a strongman of the common opposition, who was instrumental in drafting the manifesto, told ‘Asian Mirror’ . 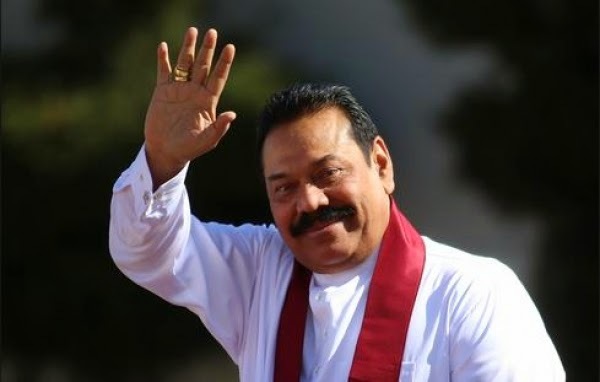 Several Leaders of the SAARC region have extended wishes to President Mahinda Rajapaksa for the upcoming Presidential Election in January, 2015. The leaders have made their wishes to President Mahinda Rajapaksa on Twitter social media while they were taking part in the SAARC summit in Nepal. Indian Prime Minister Narendra Modi has tweeted, “"President Rajapaksa will soon go into (re-election) & I wish him good luck." 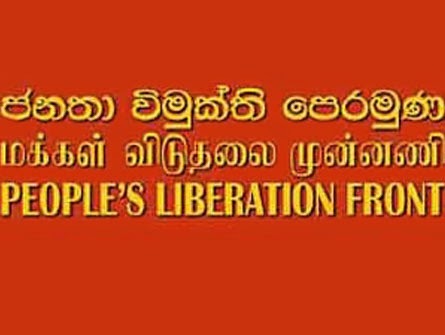 The broadest mediation to defeat despotic administration and to build a broad people’s movement that will continue beyond the day the presidential election is held that would rally all peoples is the programme of the JVP regarding the presidential election said the Leader of the JVP Anura Dissanayaka. 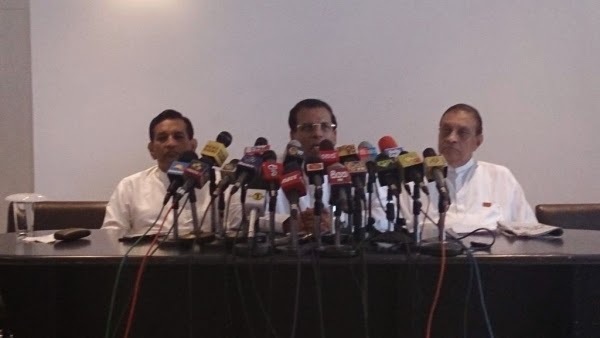 Mr. Dissanayaka said this at a media conference held at the head office of the JVP at Pelawatta today (24th) to explain the stand the JVP would take regarding the presidential election. The Information Secretary Vijitha Herath and Member of the Political Bureau K.D. Lal Kantha too were present. Since seeing is believing, the world-record holder for Test wickets goes to a sideboard in the sitting room of his house – open, verdant, yet far from palatial – on the outskirts of Colombo, and kneels. 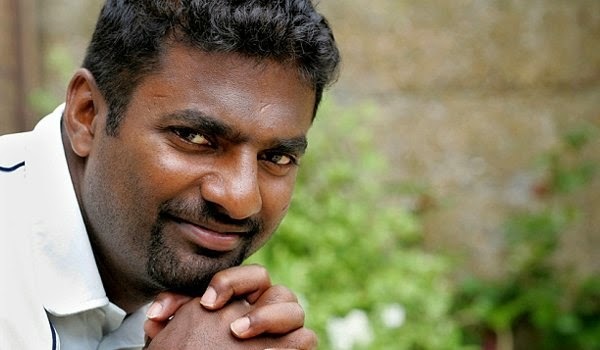 “Come,” Muttiah Muralitharan says, asking for a volunteer. Palm upwards, the record holder extends his right elbow along the sideboard. It is not straight. To be exact, his elbow rises at an angle of 27 degrees above the horizontal – even when the volunteer pushes down on Murali’s right forearm as hard as he can. Murali’s right elbow simply does not straighten. Nor does his left elbow, which rises 24 degrees above the horizontal. It is a condition, he says, which he inherited from his grandfather. Common Candidate of the opposition Maithripala Sirisena and opposition leader Ranil Wickemesinghe will hold discussions at Sirikotha, the UNP headquarters, today to finalize the agreement pertaining to the common opposition. Sirisena arrived at the UNP headquarters in Pitakotte a short while ago and received a warm welcome from a large number of UNP supporters who were gathered at the Sirikotha premises. 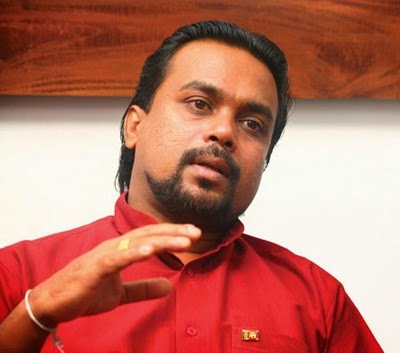 National Freedom Front (NFF) Leader Wimal Weerawansa has said that the opposition itself is uncertain on their policy of abolishing Executive Presidency. According to Weerawansa, different parties of the common opposition have expressed different and contradictory opinions on the abolition of Executive Presidency, creating a doubt in the minds of the general public. 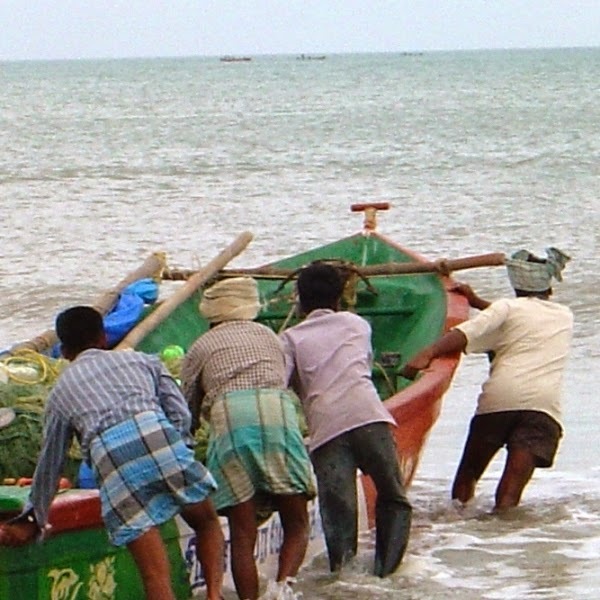 The Q Branch of the Tamil Nadu police arrested four men in Ramanathapuram district for trying to smuggle 250kg of ganja to Sri Lanka through sea route in the wee hours of Tuesday. Q Branch sleuths seized the contraband and the vehicles used for the purpose. However, three others managed to escape. Q Branch officials received a tip-off that ganja was smuggled to Sri Lanka from Keelakarai area in the district and intensified patrolling in the coastal areas. Soon after arriving in Nepal to take part in the 18th SAARC Summit, President Mahinda Rajapaksa visited Lumbini – the birthplace of the Lord Buddha – one of the most sacred places for Buddhists. Though it’s not the President’s first time in Lumbini, he did participate in a number of events, with particular significance to Sri Lankan Buddhists. President Rajapaksa first visited and prayed at the Maya Devi Temple, named after Queen Maha Maya, Lord Buddha’s Mother. Dating back to 623 B.C., this Temple houses the exact birthplace of Lord Buddha. 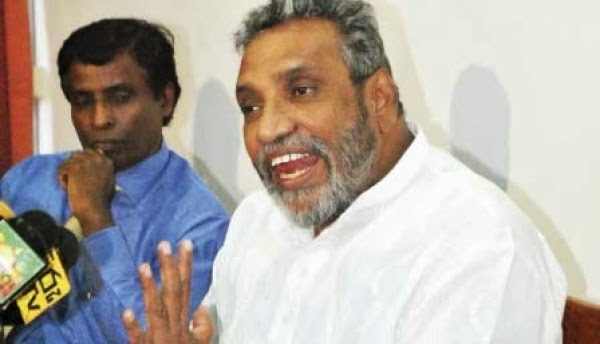 "Conspiracy To Leave Harin Fernando Out Of Political Shows Ahead Of Presidential Polls"
Former UNP Parliamentarian and Opposition Leader of the Uva Provincial Council Harin Fernando said there was a conspiracy to leave him out of political programmes on television ahead of the upcoming present election. 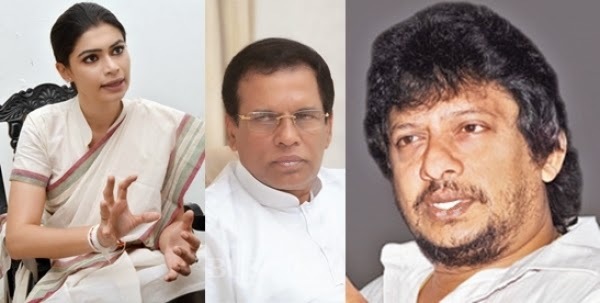 Education Minister Bandula Gunawardena and UPFA Parliamentarian Ramesh Pathirana yesterday refused to engage In a debate with Fernando on the "waada pitiya" political talk show yesterday, on the grounds that Fernando was a Provincial Councilor. Multiple sources from the opposition confirmed Asian Mirror last night that one ruling party Parliamentarian will cross over to the opposition today. The MP will extend his support to Maithripala Sirisena, the common candidate of the opposition, at the presidential election. Although the opposition spokespersons did not disclose the name of the ruling party MP, it was learnt that the defector is a Muslim Parliamentarian. CBK - Maithripala "Crossover" Strategy Backfired? 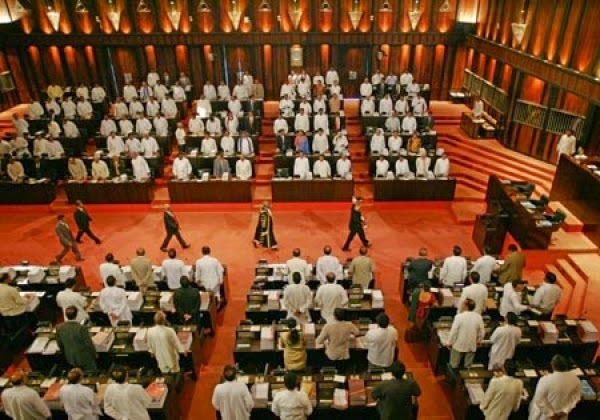 With no ruling party MP crossing over during the third reading vote of the budget, questions have now been raised whether the 'crossover' strategy adopted by common candidate Maithripala Sirisena and former President Chandrika Bandaranaike Kunaratunga has backfired. From the outset, the former President assured the main opposition party that SLFP MPs will crossover and join the opposition "in installments." Flatly denying allegations that the date of the presidential election clashes with the schedule of the papal visit, Elections Commissioner told reporters today that his department sets dates for elections after taking into consideration nationally important events. This remark also came in a context where there were widespread speculations that certain astrologers are heavily influencing dates of elections. The Elections Commissioner cleared the air on dates of elections at a press conference that was held at his office this morning. He asserted that the elections dates were not set according to the advices of astrologers. 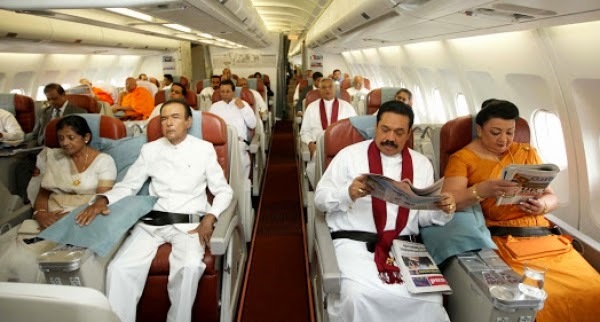 Amidst the heat of the presidential election, President Mahinda Rajapaksa left for India this morning on his way to Nepal to attend the 18th SAARC Summit. On the sidelines of the summit, the President will hold important bilateral discussions with leaders of the South Asian regions, sources from the government said. A special focus, according to them, will be given to discussions with Indian authorities just one and a half months ahead of a crucial presidential election. Mervyn Silva Threatened In Public Near Court Premises! 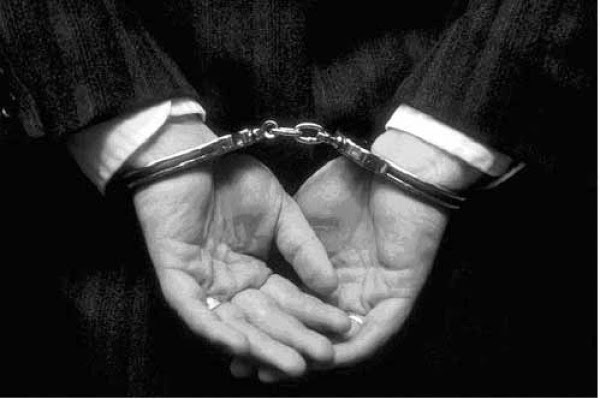 An unknown man who came in a jeep threatened Public Relations Minister Merveyn Silva in public this morning near the Colombo Chief Magistrate Court premises. This incident happened when the Minister was speaking to some reporters near the court premises. He was present at the court today as his son Malaka Silva's case was scheduled to be taken up before the Colombo Chief Magistrate. 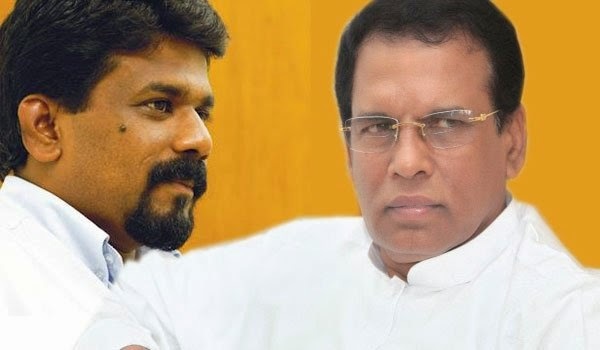 Janatha Vimukthi Peramuna (JVP) sources report that they are to extend 'strategic support' to the common candidate Maithripala Sirisena at the presidential election. Director of the National Catholic Center for Social Communication, Rev. Fr. 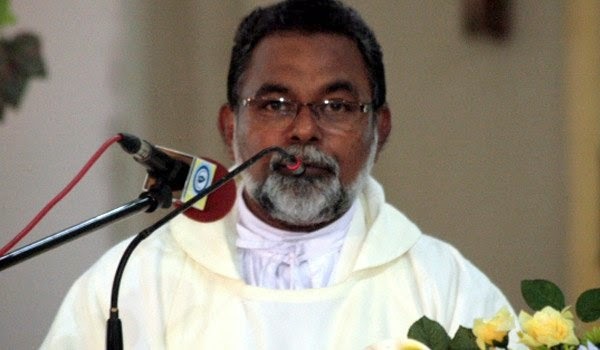 Cyril Gamini Fernando has said that the Papal visit will go ahead as planned. Fr. Cyril Gamini Fernando has stated this while speaking to BBC Sandeshaya. The Presidential Election is to be held on January 08, 2015 while the Papal visit will take place five days later, from January 13-15. Maithri - BBS to meet? 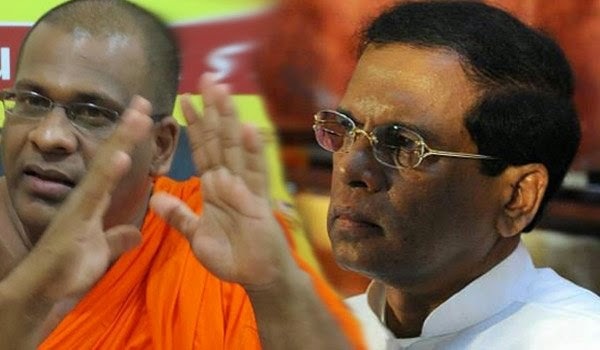 A discussion is to be held between common candidate - Maithripala Sirisena and the Bodu Bala Sena organisation (BBS), reports say. Upon inquiring, CEO of the BBS - Dilanthe Withanage said to 'Sri Lanka Mirror' a niece of Maithripala Sirisena had informed him this morning that her uncle was hoping to have a discussion with the BBS. She has also requested the BBS to support her uncle. Public representatives including all electorate organisers of the United National Party (UNP) have been summoned to be in Colombo on Nov. 26, internal sources from the party say. The electorate organisers have been thus summoned in order to engage in a special discussion with the common candidate Maithripala Sirisena. The meeting will reportedly take place at 10.00 am on that particular day. 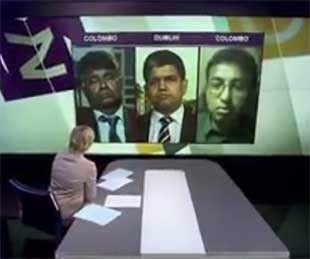 In the event Maithipala Sirisena defeats Incumbent President Mahinda Rajapaksa would be taken to the international criminal court for war crimes committed was added by Suren Surendiram,spokesman and director of strategic Initiative for the global Tamil forum.This was added participating in a television interview with Al-Jazeera television. 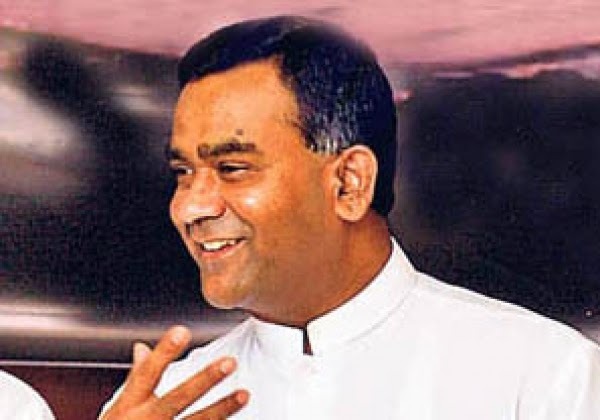 It has now come to the limelight that General Secretary of the UNP, Tissa Attanayake has held negotiations with the government over a possible crossover. The move comes in the wake of the crossover of former General Secretary of the Sri Lanka Freedom Party Maithripala Sirisena. It is clear that the attempts to lure the UNP General Secretary into the ruling party is a move to counter Maithripala Sirisena’s exit. Mr. Mahinda Rajapaksa has admitted that he kept files regarding various activities of his ministers in a bid to have a hold over them. This proves the accusation the JVP has been making regarding the President having his ministers tightly tied using files of their moves. Janatha Vimukthi Peramuna will announce the decision whether it will support common candidate Maithripala Sirisena in the upcoming presidential election today. 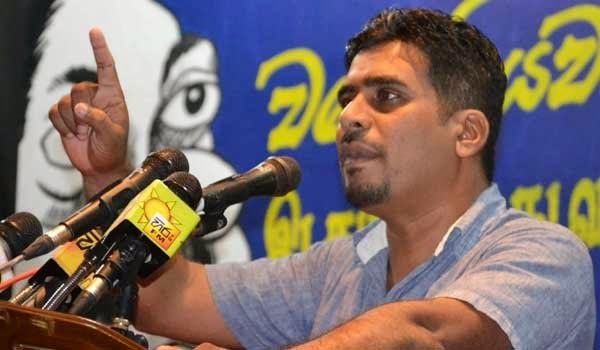 The General Secretary of the JVP Tilvin Silva has told local media that the party leaders have been discussing the current political situation and have come to a decision. Maintaining that the party has always taken decisions with the interest of the public in mind, Silva has said that the decision at this juncture was also taken after much deliberation. UNP Puttalam District Parliamentarian Palitha Range Bandara has refuted rumors that he is planning to cross over to the government. Bandara was one of several UNP leaders that were said to be considering a crossover apparently angered by the party’s decision to support the common candidate Maithripala Sirisena. 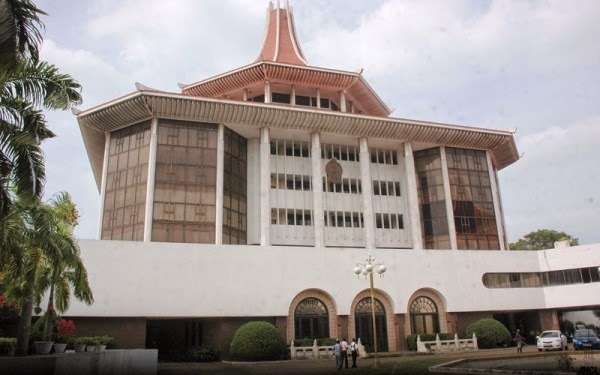 However, multiple sources from the government and oppositionconfirmed that the UNP Parliamentarian might cross over to the government this week. Sri Lanka Muslim Congress has decided to take a decision on which candidate to support in the forthcoming presidential elections after considering the election manifestos of the two main candidates. 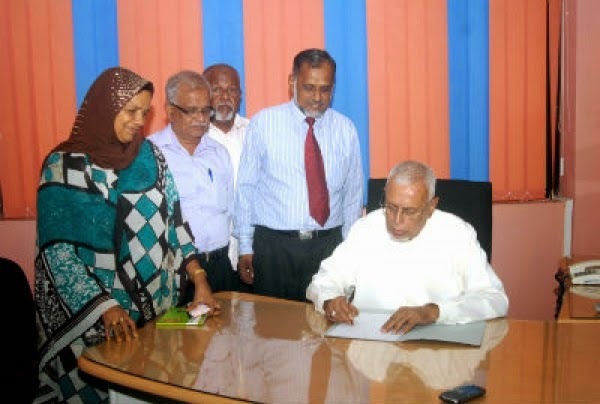 The parliamentarians and provincial council members of the party took this decision at a meeting presided by SLMC leader Rauff Hakeem yesterday, the General Secretary of the party Hassan Ali told media. 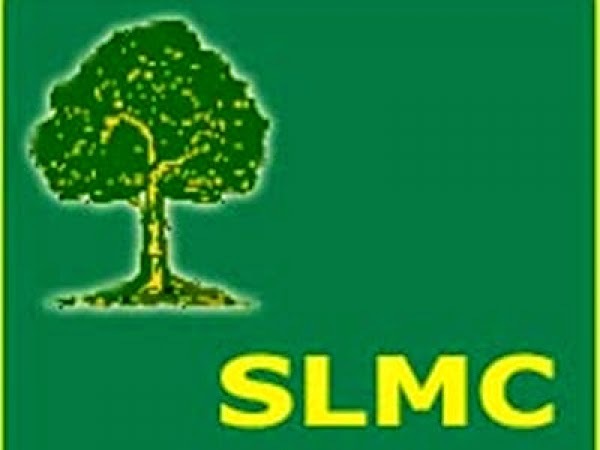 However, the SLMC is a constituent party in the government and its leader Hakeem is the Minister of Justice. 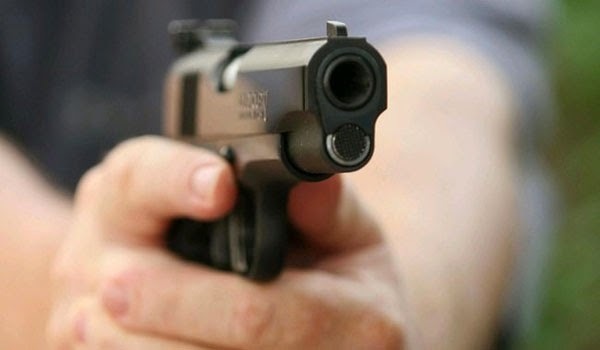 Pre Election period of 2015 Presidential Elecion is getting increasingly violent as shots were fired two houses in Madampe, Puttalam last night, reports Campaign for Free and Fair Elections (CaFFE). According to CaFFE the house of Mr. Milton, a staunch UNP supporter, at Medagama, Madampe was attacked twice after 00.20 today (23). The house of Mr. Sudeh Priyankara, at Second Lane, Medagama, was also attacked. 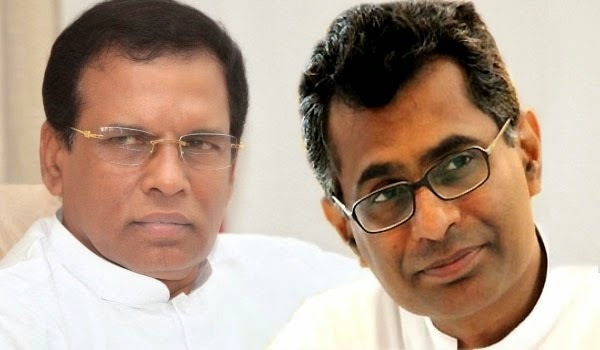 Vote on the Third Reading of the 2015 Budget is set for tomorrow (24) and Maithripala Sirisena, who is standing in for the presidential election as the common candidate and former Minister Champika Ranawaka have decided to boycott the vote. Extending support to Maithripala Sirisena,Ministers Rajitha Senaratne, Duminda Dissanayake, M.K.B.S. 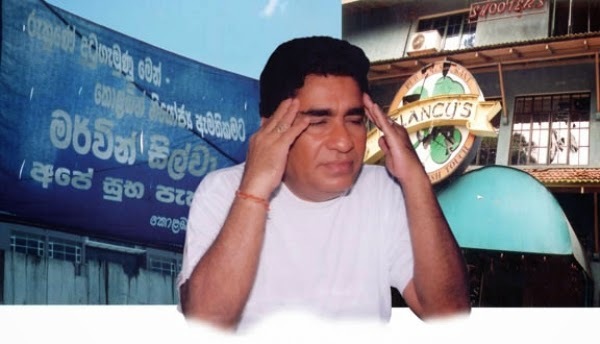 Gunawardana and MPs including Rajiva Wijesinghe, Perumal Rajadurai and Vasantha Senanayake who quit the government have also decided to boycott the budget debate tomorrow. 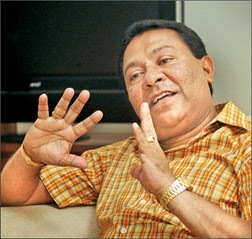 Singer Madumadawa Aravinda has stated that the current Defence Secretary Gotabaya Rajapaksa is to stand in for the general election. He has made this comment in an interview with 'Mawbima' newspaper. When the Mawbima journalist questioned whether Gotabaya Rajapaksa will stand in for the next election Madu has said “I do not know that, but he will contest at the general election". He has further stated that Ven. Athuraliye Rathana Thero left the government as he was not offered a ministerial portfolio. Rajapaksas’ supporters have set up a huge operation to get the budget vote scheduled to be held tomorrow (24th) passed say reports. They have launched the operation fearing that those who support common opposition candidate Maithripala Sirisena would attempt to defeat the budget. According to the operation each and every minister and Parliamentarian is to be met personally to get their allegiance to Rajapaksa regime confirmed. The operation is being carried out by ministers loyal to Rajapaksa family as well as several outsiders say reports. Central Province Chief Minister Sarath Ekanayake yesterday said in a meeting that whether Maithripala Sirisena wins or loses the forthcoming presidential election, he is ultimately the loser. Ekanayake said that Sirisena is likely to lose the election by a fair margin but even if he wins by some chance, he shall have to abolish the executive presidency and hand over the premiership to UNP Leader Ranil Wickremesinghe. Therefore, Sirisena will lose either way, Ekanayake added. In an inquiry made by BBC Sandeshaya with regard to the political agenda to be followed by small political parties at the upcoming presidential election, leaders of 3 leftist parties have stated that they will field presidential candidates. Accordingly, Frontline Socialist Party (Peratugami Samajawadi Pakshaya), New Sama Samaja Party and United Socialist Party are to field 3 presidential candidates.